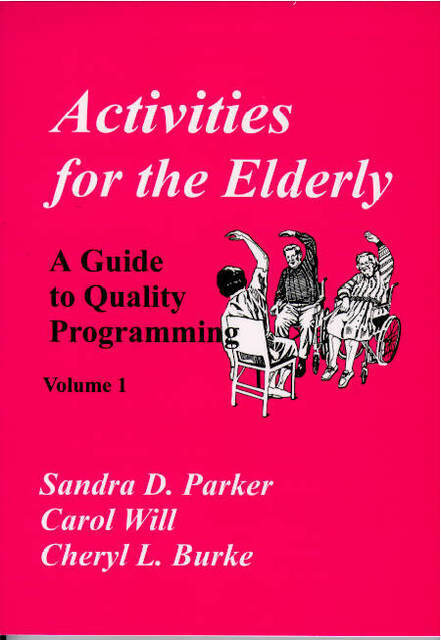 A collection of 75 practical activities and programs for therapists working with older adults. In addition to the instructions and helpful hints for each activity, the authors have also included the therapeutic benefits of each activity (e.g., concentration, increasing endurance, olfactory stimulation, etc.). Plan your activity calendar using this collection of well-balanced activities! Chapters: How to Train and Motivate Volunteer Activity Leaders, Large Muscle Activities, Mental/Memory Activities, Arts and Crafts, Music, Dance and Drama, Outdoor/Nature Activities, and Religious Activities. You may also want to look at Activities for the Elderly, Volume 2 for your clients who are more impaired.